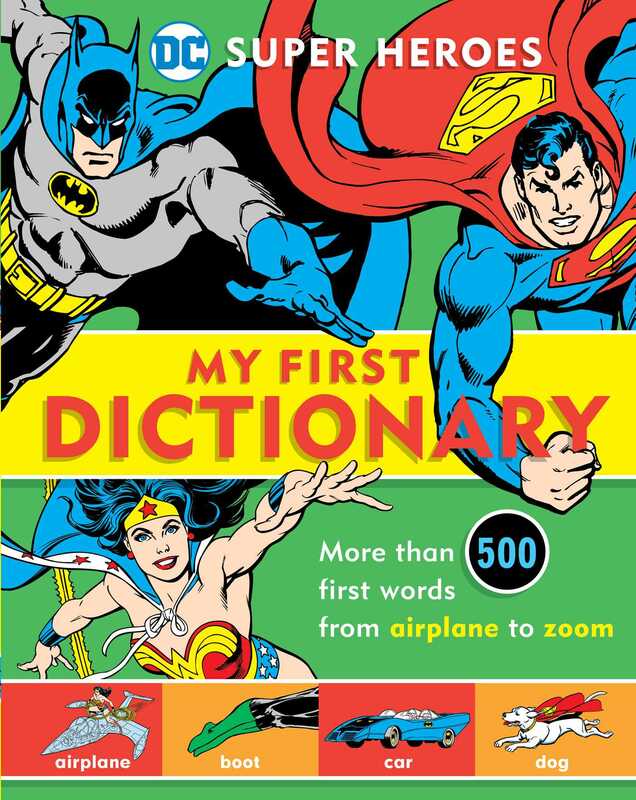 DC's beloved Super Heroes introduce children to first words in this super-cool pre-school visual dictionary. A combination of the 500 most popular words for pre-schoolers along with essential DC super hero names and terms, this unique visual dictionary makes it fun for kids to build their vocabulary and early and pre-reading skills. Superman, Batman, Wonder Woman, Green Lantern, the Flash--and other fan favorites--are fabulous guides to first words and the DC universe. The classic comic book art rounds out this entertaining, educational, great-looking package. Each entry includes an illustration, and an example of the word used in a sentence.